Billy Joel will perform at Nationals Park on Saturday, July 26. 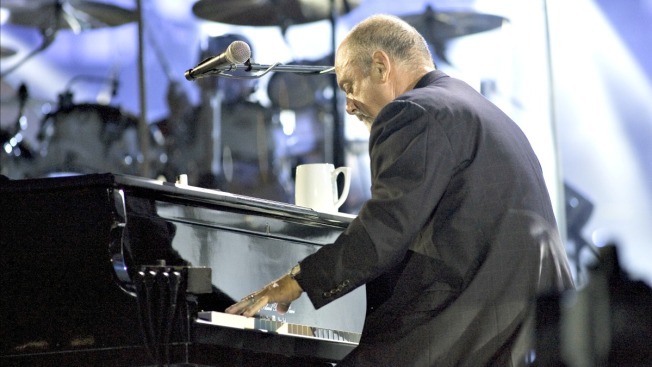 The Library of Congress is honoring Billy Joel with its Gershwin Prize for Popular Song. Librarian James Billington said Tuesday that the singer-songwriter, whose hits include "Piano Man" and "Uptown Girl," will receive the prize in D.C. in November. The Gershwin Prize honors a living artist's lifetime achievement in music. Previous recipients are Paul Simon, Stevie Wonder, Sir Paul McCartney, the songwriting duo of Burt Bacharach and the late Hal David, and Carole King. With a career spanning 50 years in the entertainment industry, Joel is the sixth top-selling artist of all time. He has said that his piano-driven compositions spring from personal experiences, and that he strives to write songs that capture and transcend those moments. Joel will be in the D.C. area on Saturday night for a performance at Nationals Park. The concert will be his first solo appearance at the park and marks the first time a musical artist has made a return appearance at the ballpark. Tickets for the show are available on the Nationals' website.